Moving Your Household Goods Overseas from Washington D.C.
Are you planning on moving overseas from Washington DC and bringing all your personal effects and household goods? Whether you’re moving back home from abroad or making the commitment to relocate to a new country, Schumacher Cargo is a reliable and trustworthy international moving company. Our goal is to take the stress out of the move and make the whole process simple and straightforward so that you can spend your time doing what you want to do. Regardless of where you are moving to; be it Europe, South Africa, Scandinavia or any other destination, our groupage rates are very competitive. We’ll be able to move you and your family’s household goods to any address around the world if need be. If you really want a moving company that’ll take the wheel and handle everything then you’re in the right place. If you choose to use us as your relocation specialist, we’ll arrange to have your goods packed and wrapped by our team of trained professionals. Then we’ll transport your household goods from your residence or place of business in the D.C area to one of our five global shipping locations. Which warehouse that is will depend on your specific situation. For relocation of your personal effects to Germany or other European destinations, New York would be the best departure port. 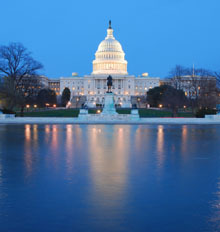 * International moving services from Washington D.C. available to other countries. Speak with one of our relocation experts today at 800 599 0190. You’ll get all the information you need in just a few minutes including the estimated cost, export import rules and more. 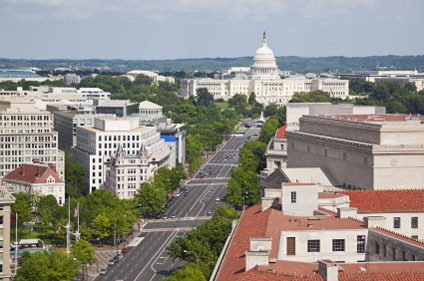 For the past 35 years, our track record and customer satisfaction rates for relocations from the nation’s capital continuously exceeds industry standards. With us, you not only get dependability but also options to choose from. As mentioned, we offer both full and shared container services. This means that those moving household goods and personal effects from Washington D.C., or even transporting vehicles, only have to use the space they actually need in a container. So whether you are shipping cars, moving full households, individual furniture or other goods, Schumacher Cargo Logistics and our team are fully capable of handling your relocation needs.